European Journal for Biomedical Informatics is an online journal publishing submissions in English language, which is devoted towards the progress in biomedical science. The journal welcomes all types of research communications through its rational open access window to maximize the possibilities of global reach for each article. The frequency of issue release is bi-annual, and strictly supported by peer-review process. The primary aim of the journal is to make all the informations freely available irrespective of different socio-economic barriers, which further will help in the progress of science. 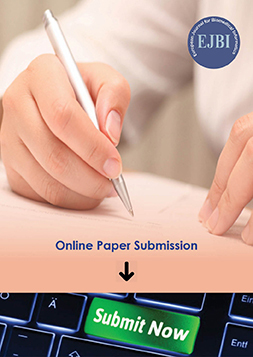 Moreover, the journal intends to showcase all the timely research information on biomedical informatics and its related studies for the effective contribution in the field of biomedical methods and technologies. European Journal for Biomedical Informatics is dealing with a range of topics which is included under the scopes of biomedical informatics. The focus of the journal is on the major aspects of implementation of information science in Medical sciences, which includes Biomedicine, Biometrics, Health informatics, Medical informatics, Clinical informatics, Dental Informatics, Semantics Interoperability, Ontology, Medical devices, Informatics applications in Imaging, Telemedicne/Telehealth, Artificial intelligence in healthcare. Such key topics and associated plenty of sub-topics are the scope of the journal. Certainly, quality and standard are the major issue on which the journal emphasizes most. The research articles of the journal are exceptionally high standard in terms of fact and ethical considerations. The journal put forwards the strict concern for accuracy and authenticity of the communicated article before all nominal need of the journal. Original contribution in terms of research, review, short-communication, case reports, are welcomed from the authors, who are engaged in medical or academic research. The articles selected for publication, must have to go through critical process of peer-review as per journal norms. A well-constructed editorial board is the higher most determining authority for the journal, which is formed by highly experienced subject experts in the field of biomedical informatics. Section editors and guest editors are also engaged there to maintain topic specific proper evaluation of research manuscripts. This journal follows the guidelines of the International Committee of Medical Journal Editors (www.icmje.org) and the Committee on Publication Ethics (www.publicationethics.org).